”What’s next?” is a part of The Kid series. 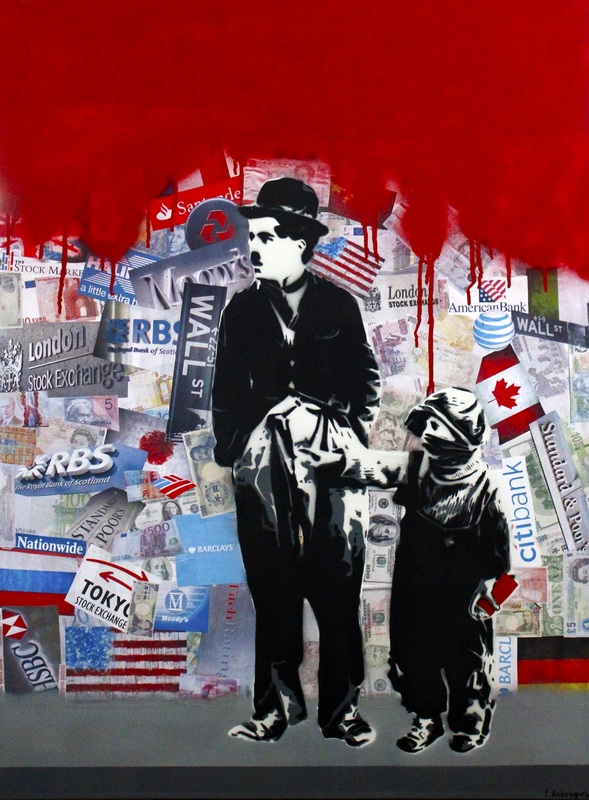 The Kid is a collection of artworks where Charlie Chaplin’s homonymous character is featuring. These works seem to create their own rules with a strong street art reference and resemblance to hero’s innocence and illegality.